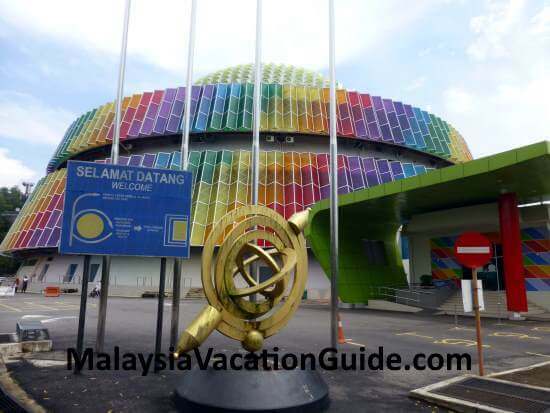 National Science Center is known as Pusat Sains Negara in the official language of Malaysia. 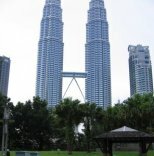 The National Science Center was officially opened on 29 November 1996 by former Prime Minister Tun Dr. Mahathir Mohamad. 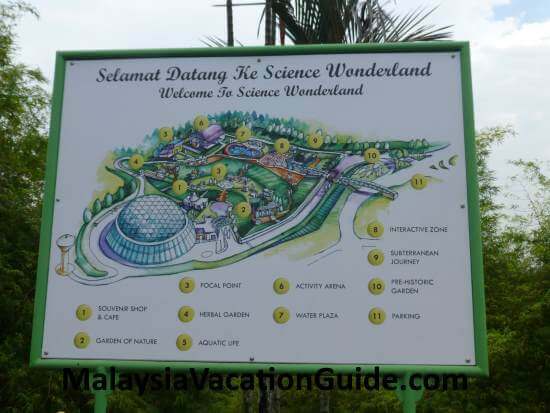 This center is located on a 8 hectares hill at Bukit Kiara, north west of the city of Kuala Lumpur. The purpose of this centre is to promote science and technology in the country. As you are about to arrive here, you will be able to see a building that looks like a cone that has been truncated and capped with a geodesic dome. This futuristic looking building houses many exhibitions on science and technology that will occupy you for at least half a day. Use this map to plan your time here. This outdoor garden is located 5-10 minutes walk from the main building. You can visit this garden before or after visiting the main building and spend about 20 minutes here. 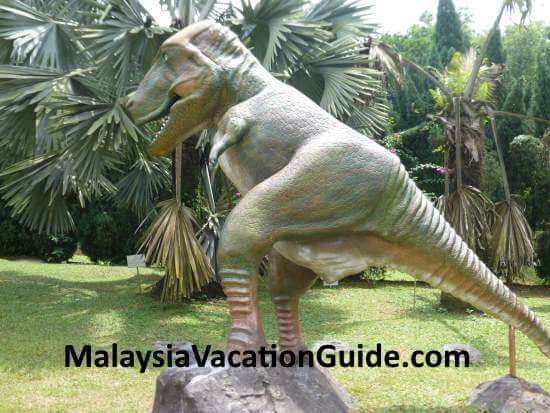 If you have young children, this is a good place to let them learn about the pre-historic dinosaurs that roamed the earth before their extinction. 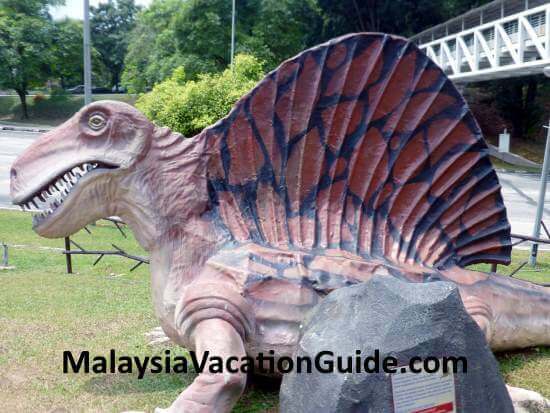 Life-sized dinosaur at the garden. Children will enjoy their time here. 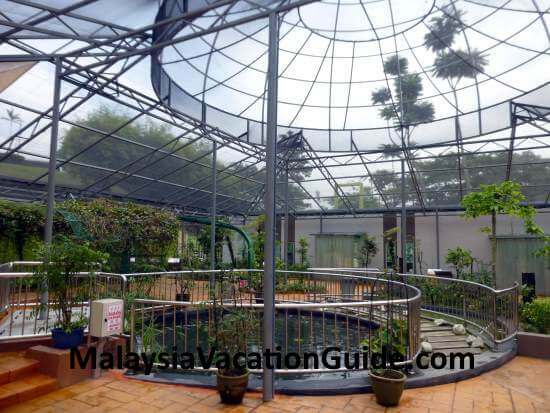 This is another outdoor garden that you can visit. 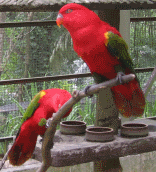 See the colourful parrots, scorpions, butterflies and other animals. A few species of orchids are also planted here. Take a stroll and enjoy the fresh air here. 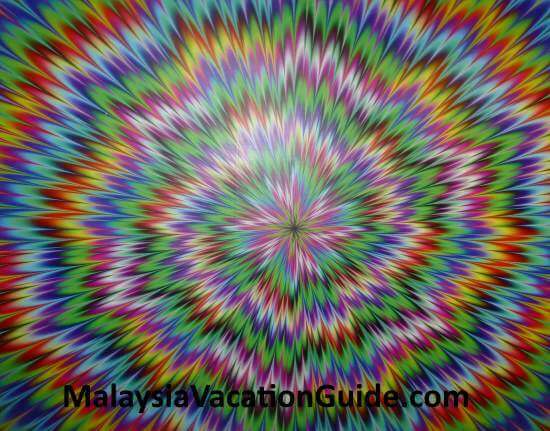 The visit at the main building starts with an exhibit of freshwater aquarium where you will be able to see the big fishes that swim in the tunnel above your head. 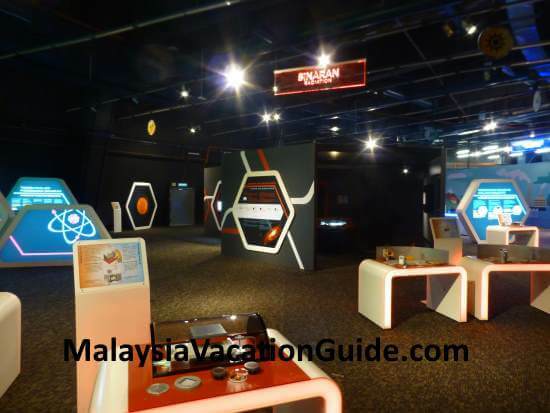 Most of the exhibits are located at Level 1 and Level 2. 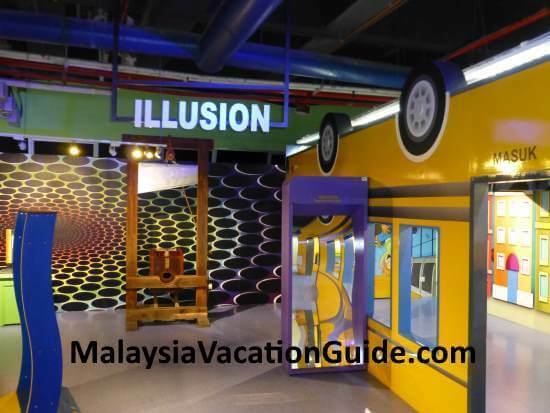 Most of the exhibits are interactive in nature and you are allowed to learn by doing the activities. Learn about the power of illusion here. The patterns seem to be moving towards you. Challenge Your Mind and All About Numbers . 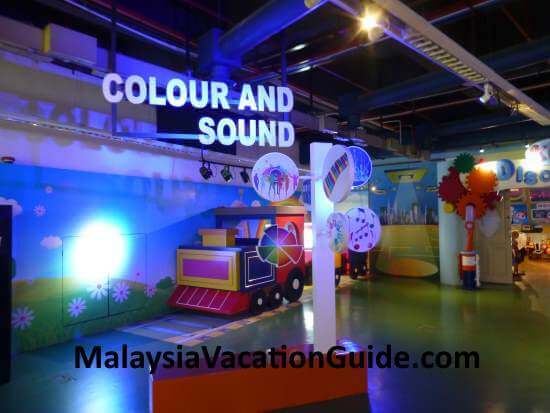 Colour & Sound section will enable you to recall some of the science topics that you studied years ago. 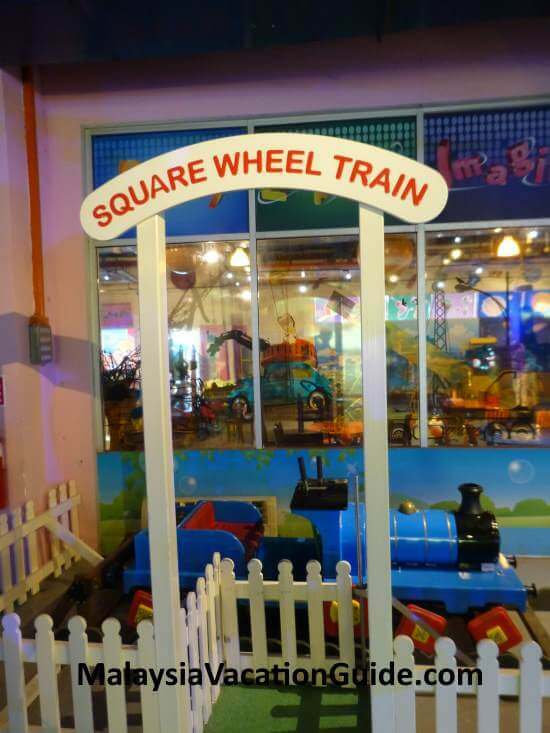 Try moving the train on a square wheel. Learn the invisible world of the danger and use of radiation. Little Explorers for young children to discover science. Find out the significant of this Little Man. This is an activity to test your ability to survive any "fear factors" that you may have. 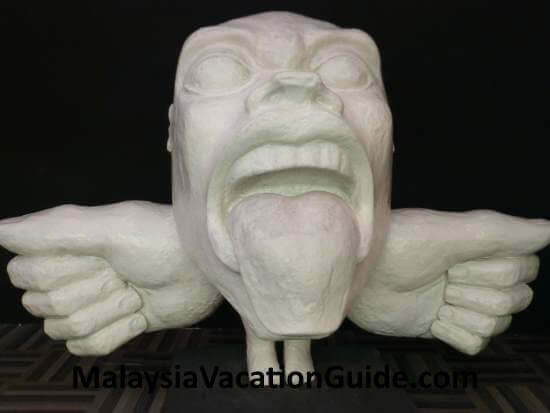 Overcome your fear by navigating your way out of this place. A separate fee is charged if you want to do this. It is located at Level 2 of the main building. 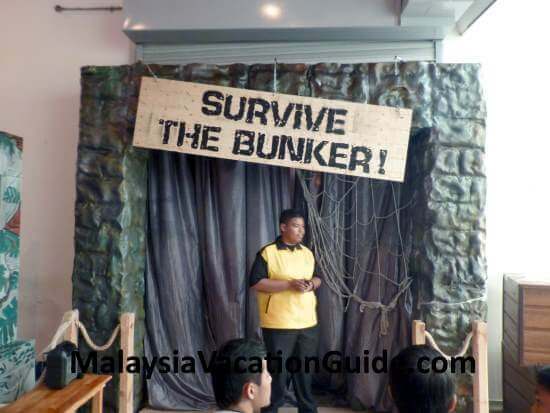 The entrance to "Survive The Bunker". You can use a combination of public transports such as LRT, MRT and buses to come here. The Rapid KL buses T852 and T818 service the route here. 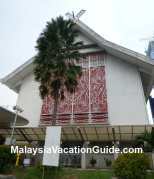 Use the RapidKL Planner to plan your trip here. Saturday to Thursday - 9:00am to 5:00pm. 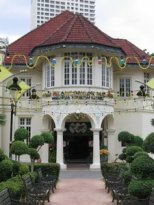 This centre will be closed during Hari Raya Aidilfitri. More information can be obtained by calling the center directly at Tel: +6 03 2089 3400.